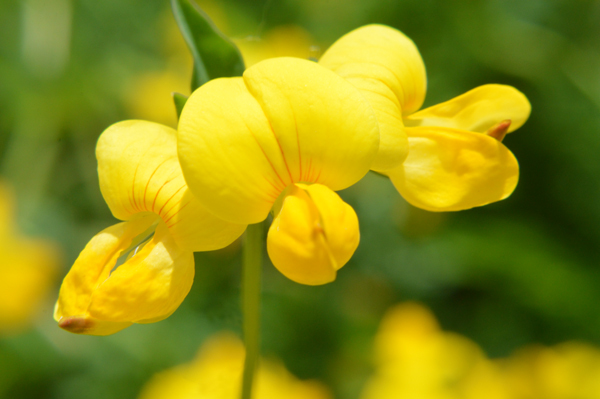 Bright yellow Bird’s-foot Trefoil brightens up Ontario meadows. 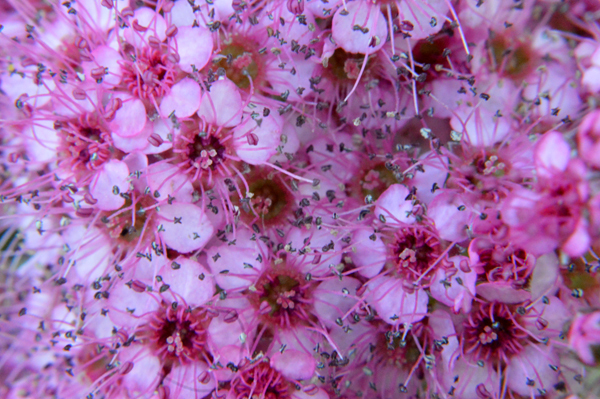 Close on tiny, vibrant pink Spirea blooms. 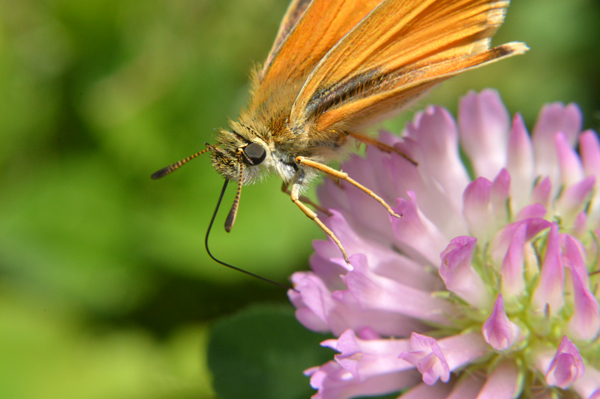 A type of Skipper butterfly takes a nice long drink of nectar on a pretty clover bloom. The fact that I’m an inch away does not seem to interrupt its lunch. 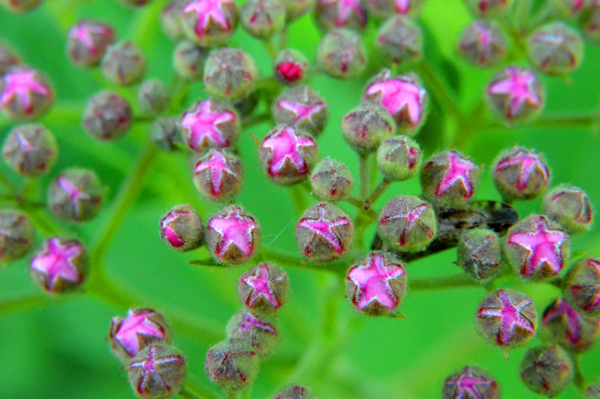 Growing wild in Westminster Ponds ESA, lovely, delicate Spirea flowers get ready to pop. 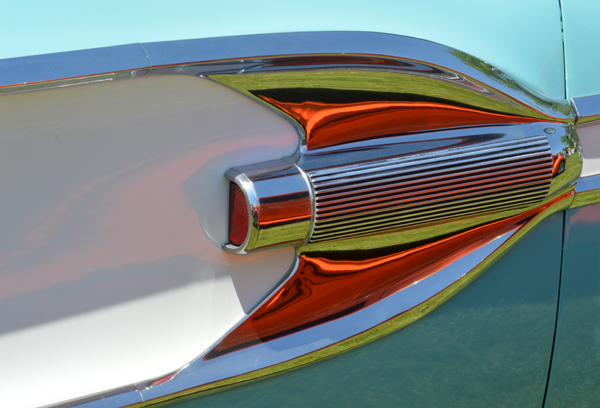 A bold orange vehicle and the grass reflect in the chrome door detail on a 1958 Pontiac Bonneville. When it’s this sunny at the car show, you need to surrender to the reflections 🙂 and have greater patience for the many people, everywhere in your shots. 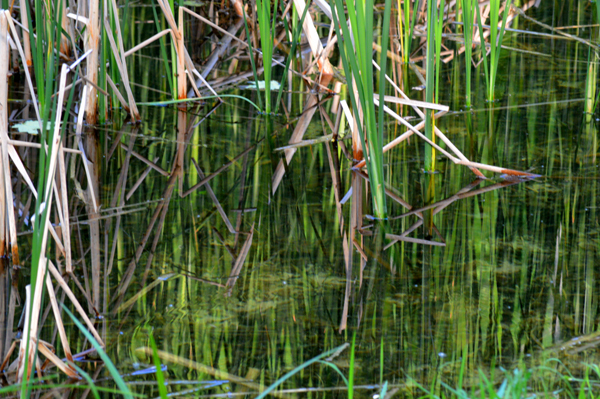 Reeds reflect in a shallow pond. 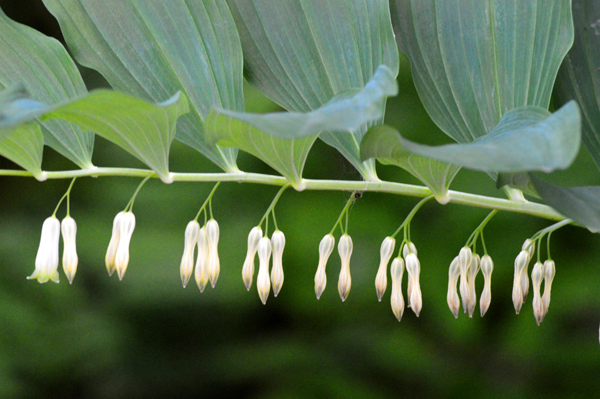 A branch of pretty little flowers, gracefully dances in the woods.